Watch 20-year-old Yazidi refugee Nibras Khudaida navigate a new life miles away from her village in northern Iraq. How the “refugee STEMinist” discovered her love of aerospace engineering. Finding great sushi in Japan is easy — but a great female sushi chef? They’re as rare as the fish they serve. Meet Huda. She likes taking pictures and being with her family. She could do without her history lessons. Kode With Klossy alumna Sofia Ongele developed the app and chatbot ReDawn to provide confidential advice to survivors of sexual assault. Marine Crouzet is driving nailmatic’s expansion to North America. 20-year-old Haitian student Belenda describes learning to code — and why she thinks all girls should have that opportunity. Get girl-powered posts delivered to your inbox. Assembly is a digital newsletter and publication from Malala Fund. Co-founded by student and Nobel laureate Malala Yousafzai, Malala Fund works to create a world where all girls can learn and lead. A series featuring female leaders in tech, science and business who show why the world works better when girls go to school. "There’s a lack of confidence with teachers and parents who don’t see STEM careers for their daughters because most of the role models that they see are men." Roma builds some of the tallest buildings in the world, now she's working on tearing down gender bias in engineering. "Science is more than just a few planets and ecosystems, but rather a way in which we can help people and the world around us." 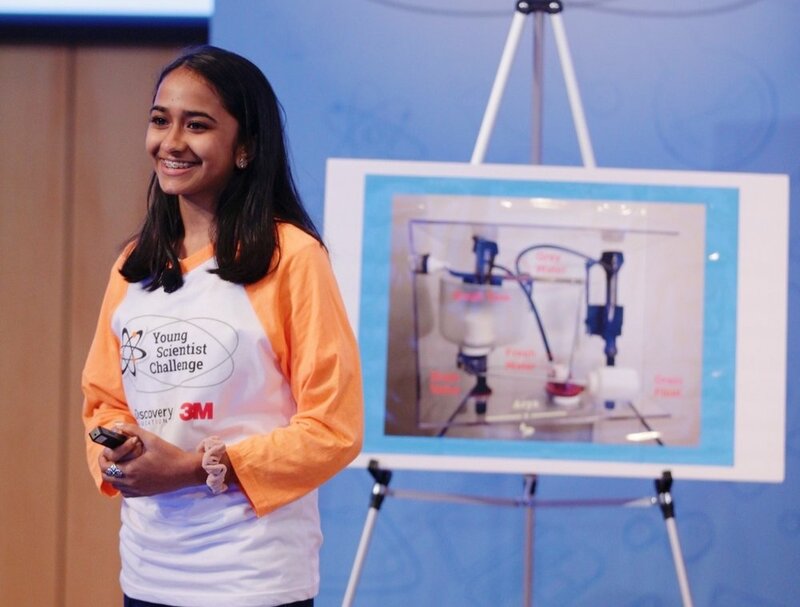 14-year-old inventor Mehaa Amirthalingam is tackling the water scarcity crisis with her new product that reduces water consumption in the home. "In a society where women are ridiculed for not being good drivers, the notion that a team of girls are making a racing car was not easy to digest." Meet Team Auj. 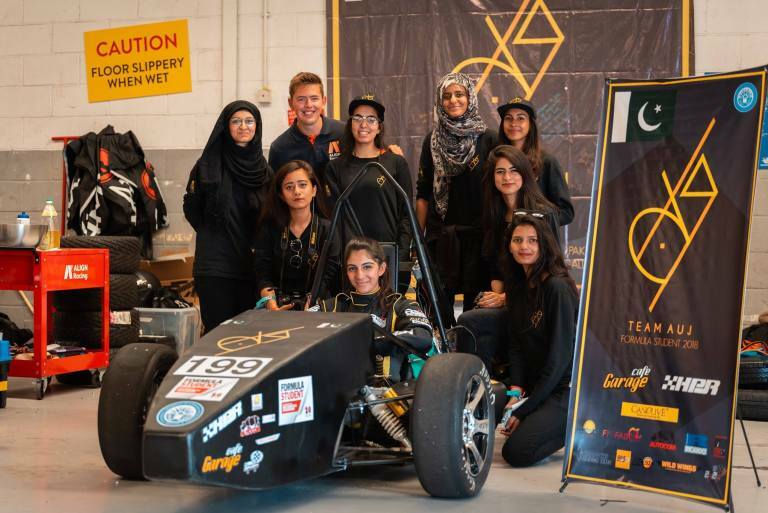 Pakistan’s all-female racing team that is building fast cars and driving change. "The biggest thing we have in Africa is a young generation. So if we train the young generation in tech, we’ll be able to build something that is everlasting." 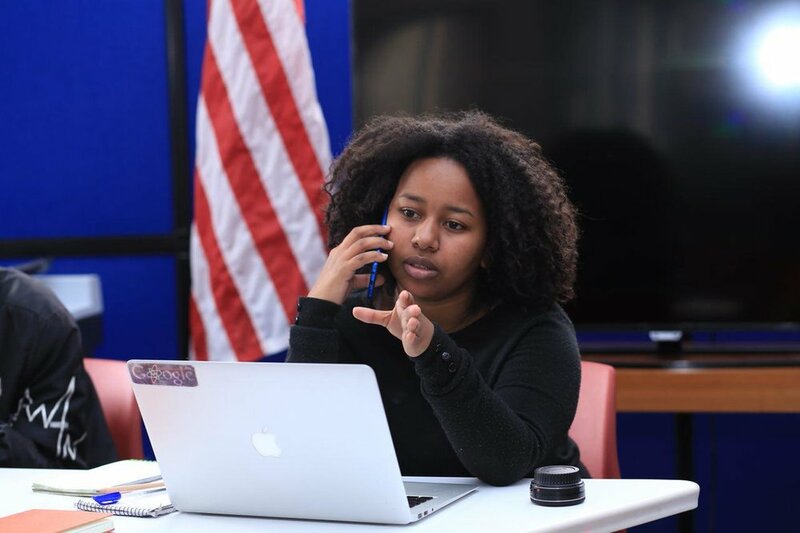 19-year-old Betelhem is working to equip girls in Ethiopia with the skills they need to work in their country’s growing tech industry. Assembly publishes original work by girls, for girls. And we would love to feature you! Send us your ideas and you could be featured in the next issue.